In an effort to provide unrivaled support and service to our customers, The Oxygen Concentrator Store by American Medical Sales and Rentals is proud to announce the addition of Spanish, Hindi, Urdu, and Punjabi speaking sales and support staff! 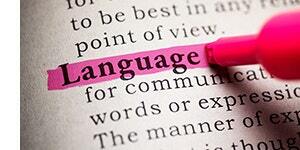 AMSR’s bilingual team ensures speakers of many backgrounds can always communicate their needs. Over the past few years, AMSR has worked to attract and retain a wide range of bilingual employees in order to provide the best possible experience for their clients. In addition to the bilingual sales and support staff, American Medical is working to provide Spanish, Hindi, Urdu, and Punjabi support materials. With the demand and growth of this team, AMSR hopes to provide an even broader range of language speakers in the future.